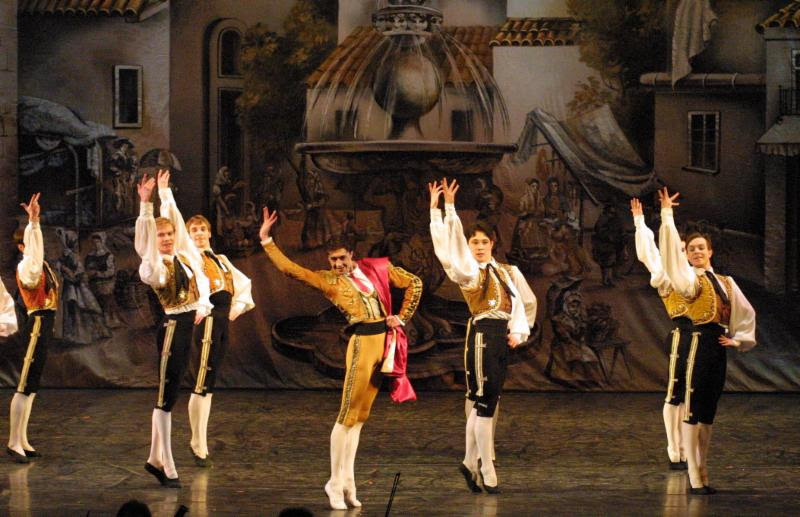 Dance Mogul: What was the inspiration behind Don Quixote? Leonid Fleishaker: Don Q is a part of a basic repertoire of any major company. This is a full story ballet that is quite popular around the world. It is almost a must that Moscow City Ballet had to bring this wonderful ballet into their repertoire list. Ever since they premiered this production, many presenters around the world were anxious to present at their respective series. Dance Mogul: How does this production empower your dancers? Leonid Fleishaker: The company’s cast doesn’t only have a chance to shine as dancers in their production of Don Q, they also have an opportunity to act, something everyone enjoys very much. Dance Mogul: Is there anyone you would like to thank for helping you on this project? Leonid Fleishaker: the company and the production staff of this tour have dedicated their efforts to the memory of their founder, Victor Smirnov-Golovanov who had created the choreography of their whole repertoire during the last 25 years of his life. He lost a battle to cancer in April of 2013. The Moscow City Ballet was founded in 1988 by distinguished Russian choreographer Victor Smirnov-Golovanov and his wife, Ludmila Nerubachtchenko. The company was the outcome of the reforms in post-Soviet Russia of that time. It is a private enterprise, and is not subsidized by the government. The company’s first international tour appearance was in 1989 in Seoul, Korea. 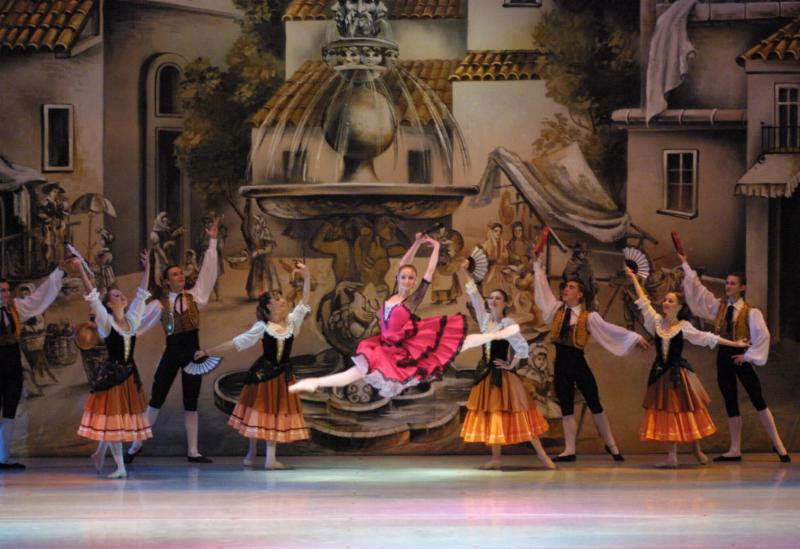 Its success outside of Russia makes it one of Russia’s most extensively touring ballet companies. Since 1988, Moscow City Ballet has appeared in Belgium, Cyprus, Egypt, Holland, Hong-Kong, Ireland, Israel, Japan, Estonia, Peoples Republic of China, Philippines, Republic Korea, R.O.C. Taiwan, Singapore, United Kingdom, United States, and, naturally, in Russia itself. The company’s greatest success has been in the United Kingdom where it has given more than 1000 performances since 1991, accompanied by the National Ballet Orchestra. Considering classical ballet to be an important part of the national heritage of Russia, Victor Smirnov-Golovanov aimed to bring the company’s performances to as wide a public as possible, especially the new generation of ballet-going youngsters. Smirnov-Golovanov’s own productions, as well as older versions of the classical ballets, all share a clearly-defined style, ideas and choreographic integrity, setting high performance standards for himself, and the company. Moscow City Ballet is renowned for the perfection of its corps de ballet in the best traditions of the Russian school of classical ballet. The company’s unique style is ensured by the unceasing efforts, both in production and rehearsal, of its new artistic director, Ludmila Nerubachtchenko.